Ronski Speed – Exclusive mix for bejbi.se. The 58th of our series of exclusive mixes..
Click ”see the rest of this entry” to read more about Ronski Speed and to download the mix. His numerous killer productions like ’The Space We Are’, ‘Lasting Light’ with Emma Hewitt, ’E.O.S. vs. Satellite’ with Above & Beyond’s project Oceanlab, ’All The Way’ with songstress Aruna, ’Incognition’ & ’Soulseeker’ with Stoneface & Terminal, ’The Deep Devine’ and ‘A Sign’ with Ana Criado is in everyone’s ears. As well his remixes for the biggest names in the scene like Armin van Buuren, Above & Beyond, ATB & Heather Nova, Jes, Aly & Fila, Mori Kante, Kyau & Albert, Mike Shiver, Lange, Markus Schulz & Andy Moor were genuine club smasher. Labels like Armada, Anjunabeats, Vandit, Coldharbour, Black Hole and most of all this home label Euphonic are counting on his stunning productions and remixes. DJ-wise Ronski played for the most known brands, festivals & clubs around the globe in more than 75 countries – Since 2003 he is continuously listed in the DJ Mag Top 100. Various Mix compilations (e.g. for Love Parade, Ministry Of Sound London, Positive Ways, Techno Club) and his successful first album ’Pure Devotion’ were released in the past. 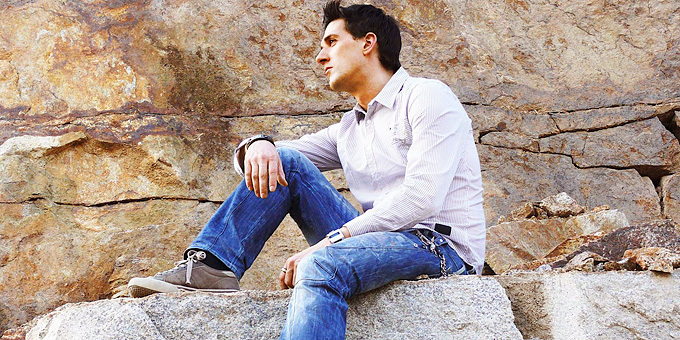 Ronski’s radio shows like ’True To Trance’ and ’Euphonic Sessions’ were broadcasted on over 200 radio stations all over the planet. Now he is the 58th out for a series of exclusive mixes recorded for bejbi.se by our favorite dj´s, both well known, and unknown, that we will publish once a week untill we run dry. Download Ronski Speed’s Exclusive mix here (right click and save as) or listen to it live on Soundcloud or just press play below here. If you want to hear more of Ronski Speed, check out his ronskispeed.com.